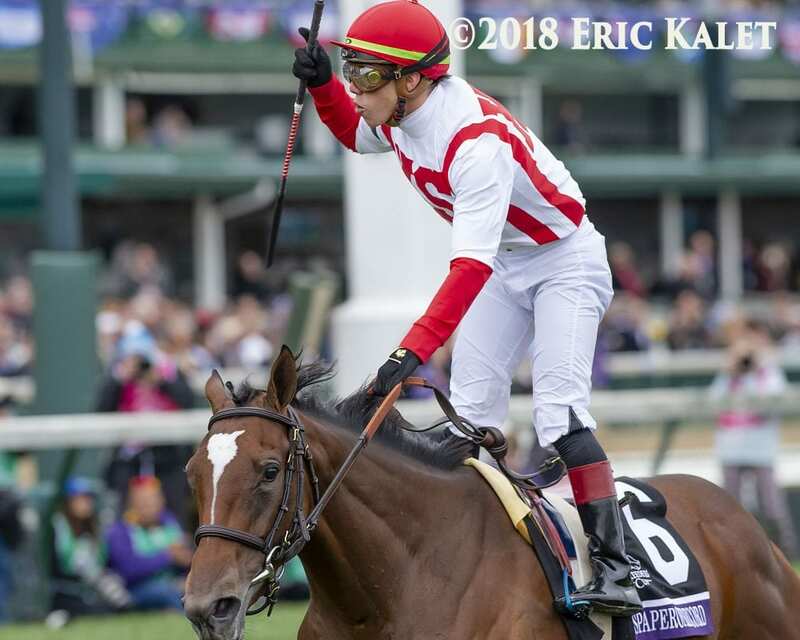 Irad Ortiz Jr., who won two races and finished in the top four in five other races from 13 mounts, won the 16th Bill Shoemaker Award, given to the most outstanding jockey of the World Championships hosted by Churchill Downs. Ortiz collected 35 points to edge Joel Rosario (32) and Javier Castellano (30). Ortiz's victories came aboard Newspaperofrecord in Friday's Juvenile Fillies Turf and Shamrock Rose in Saturday's Filly & Mare Sprint. He finished second three times with Uncle Benny (Juvenile Turf), World of Trouble (Turf Sprint) and Gunnevera (Classic). He also had one third-place finish (Analyze It in the Mile) and a fourth (Firenze Fire in the Dirt Mile). Rosario rode three winners headed by Accelerate in the Classic and 2-year-old winners Friday in the Sentient Jet Juvenile with Game Winner and the Tito's Handmade Vodka Juvenile Fillies with Jaywalk. He also had a third-place finish in the Turf Sprint on Disco Partner. Two other riders won two races: Castellano with Bulletin (Juvenile Turf Sprint) and City of Light (Dirt Mile), and Frankie Dettori with Enable (Longines Turf) and Expert Eye (Mile). This entry was posted in NL List, People and tagged analyze it, bill shoemaker award, Breeders' Cup, Breeders' Cup World Championships, churchill, churchill downs, firenze fire, gunnevera, Irad Ortiz, Javier Castellano, joel rosario, newspaperofrecord, shamrock rose, uncle benny, world of trouble by Press Release. Bookmark the permalink.